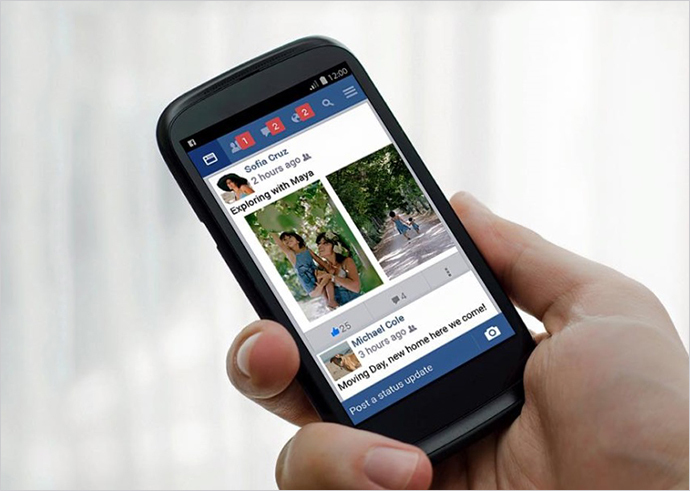 Facebook has allowed Google to crawl and index its Facebook mobile application on Android smartphones. To make the mobile search feature more appealing for the users, Google, the largest search engine has started ‘deep linking’ the apps on its search results. 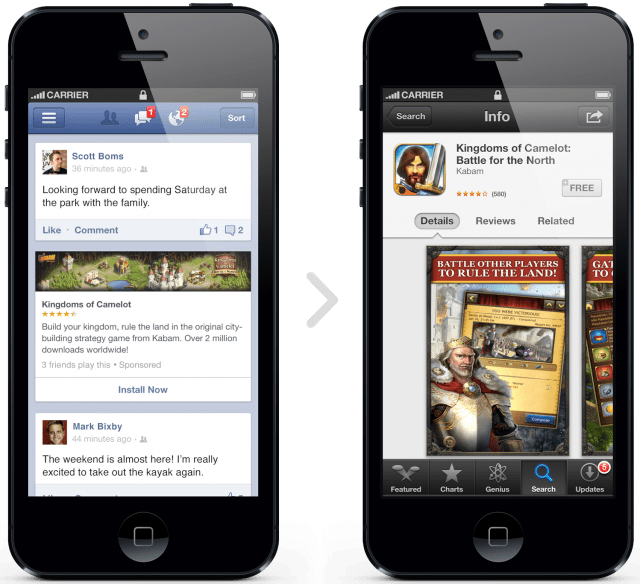 ‘Deep Links’ allow the user to directly jump on the relevant page on the mobile app, which is already installed in his mobile, from the search results. It means, when a user searches for publicly available data on the website and clicks on the search result he can directly launch the relevant page of the app, provided the app is already installed on his phone. Earlier, when users clicked on the search results, in spite of having the application in the phone, they were taken to the login page of the mobile version of the website. Now that Facebook has partnered with Google to crawl and index its mobile app, the users searching for Facebook’s publicly available information can jump directly on the required page of their already installed app by clicking on the search results. This means, the users will not be directed to the mobile web page of the social networking site for login. Only the apps that have corresponding content to a web page can enjoy the benefit of App Indexing. Currently, this service is not available for the apps that do not have a web page. By implementing the Google’s App Indexing service, Facebook has certainly bridged the gap between search on the web and apps. Moreover, it also justifies the objective of Google to make the search results relevant. Thus, it turns out to be a win-win situation for all those who are concerned with this development. For Google, it is a great way to improve the experience of its mobile users, for Facebook it is an opportunity to get users to spend more time on the app and for the users it is a time saver that bypasses the login process, allowing them to access information instantly. 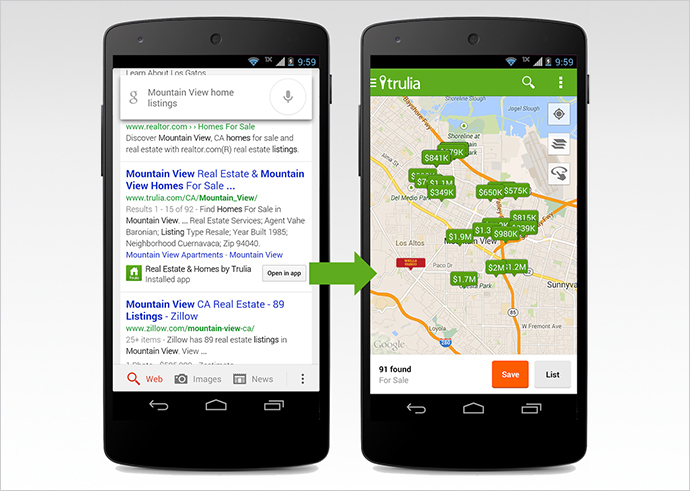 Earlier this year Google introduced App indexing for Android apps and later also for iOS apps. This enabled users to get information from the deep links and search results displayed within the apps indexed by the search engine. Initially, this service commenced with a few apps, and was soon released among other app developers who wished to get their applications indexed. Though the agreement between Facebook and Google is limited to Android right now, we can soon expect it to extend to Facebook for iOS app. Users need not worry about disclosing their private content to Google. This is because, though this development gives Google the right to use more information, it cannot access the content that is private or requires user login. To get access to the private content users can use Facebook Search, the recently updated service of the social networking giant. Thus, the search results are confined to the content that is publically shared. Well, even Twitter users can enjoy similar hassle-free browsing experience, for recently, Google has also partnered with Twitter to display relevant tweets directly from its search results and apps. “With Facebook now opening upto Google, this is good news for users. At present, if you search for a friend’s name on Google, while the Facebook profile page might be one of the first links, it won’t take you straight to the app. The link instead opens a mobile version of the Facebook site and does not reflect any information about that particular profile. Also the listings are restricted to profile pages only. At present, if you search for a friend’s name on Google, while the Facebook profile page might be one of the first links, it won’t take you straight to the app. The link instead opens a mobile version of the Facebook site and does not reflect any information about that particular profile. Also the listings are restricted to profile pages only. However with this new deal, public posts, photos that are public, etc will also be reflected in Google’s mobile search.